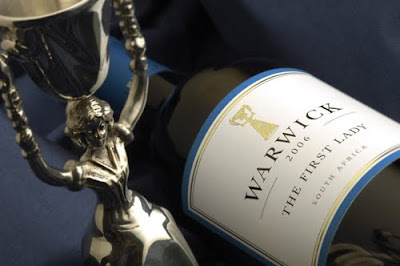 The Warwick Wine Blog: 'The First Lady' scores big with Steven Tanzer and Arrowine. 'The First Lady' scores big with Steven Tanzer and Arrowine. It's easy to find a highly rated cabernet sauvignon with great depth, complexity, and texture if you spend $80 or $100. If you look hard, you can even find one for $30-$40. But you just can't get cabernet sauvignon this deep, lush, and complex for $16 per bottle. 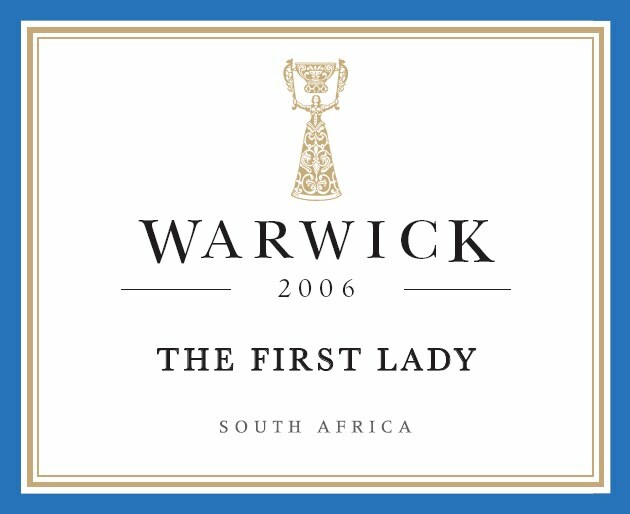 And yet $16 is the suggested retail price of the 2008 Warwick Cabernet Sauvignon "The First Lady", a deep and complex cabernet rated 90+ points by Stephen Tanzer's International Wine Cellar ("Outstanding and highly recommended" and "likely to merit a higher rating in the future"). And today you don't even have to pay $16. Our e-mail case price for this deep and complex cabernet sauvignon is just $10.99 per bottle -- over 30% off the suggested retail price! Not only is this cabernet deep and complex and highly rated and outrageously inexpensive, this exciting and exotic cabernet sauvignon also comes from one of the most celebrated wineries of an entire continent, the famed Warwick Winery, located on Simonsberg mountain in Stellenbosch, South Africa. The Warwick property, formerly called the "Farm of Good Success," was established in 1770. In 1964 it was purchased by Stan and Norma Ratcliffe who recognized the potential of the property to grow world-class wine, especially cabernet sauvignon. Norma Ratcliffe was one of the first female winemakers in South Africa and is still considered among the greatest winemaking talents in the history of her country. Her outstanding worldwide reputation earned her the moniker "The First Lady of South African Wine". This wine, created by her son, Mike Ratcliffe (now active in running the estate), is named as a tribute to his famous mother who is still active at the estate. 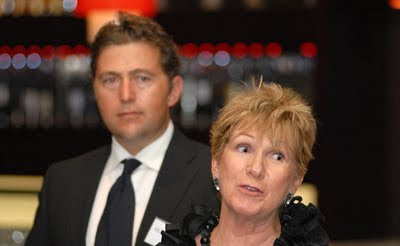 A panel of winemakers, journalists, sommeliers and other wine professionals recently named Norma Ratcliffe one of the "most important women in wine of all time" saying "she is one of the most important trailblazers in the South African wine industry. She and her husband began growing grapes and vegetables in the 1970s, and Ratcliffe became so enraptured with winemaking that she went to train in Bordeaux in the mid '80s. Many of South Africa's successful winemakers, in turn, trained under Ratcliffe. She's still the director of Warwick Estate in Stellenbosch." How does this cabernet sauvignon taste? This deep ruby colored cabernet has aromas of red berries and black cherries made more complex with suggestions of black olive tapenade and chocolate. The smooth and plush palate is ripe, but not sweet, and shows plum and black cherry fruit together with crushed herbs and mint. The finish is long and satisfying with just enough ripe and round tannin to assure this medium bodied, gorgeously textured cabernet can hold up to a hearty steak and keep for at least 3-4 years.